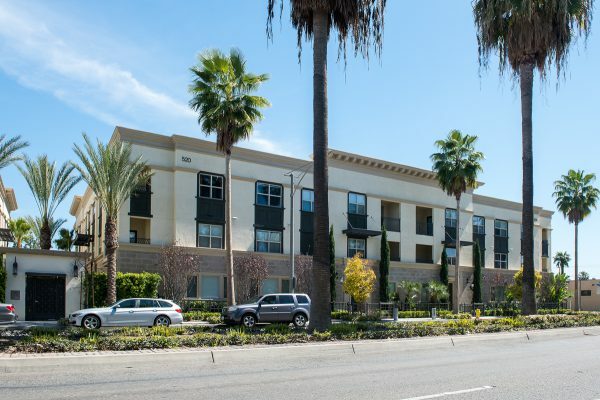 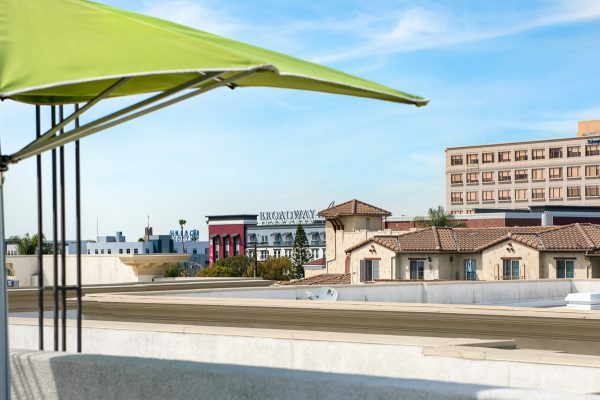 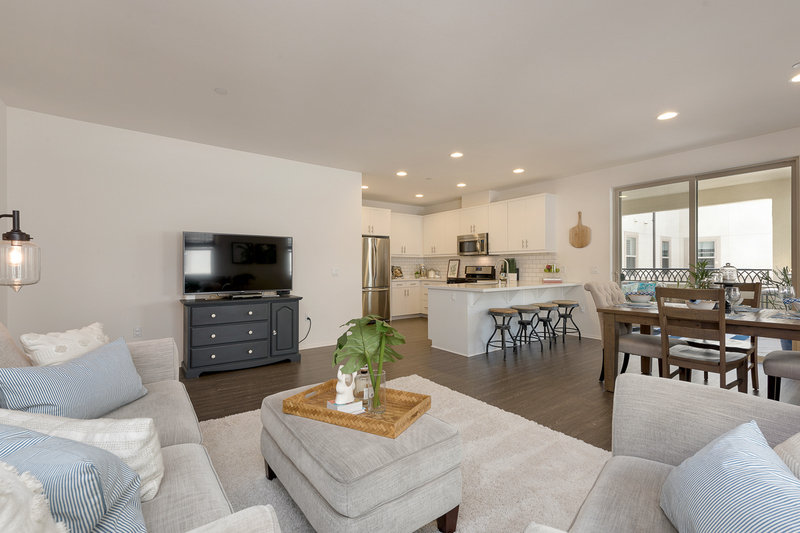 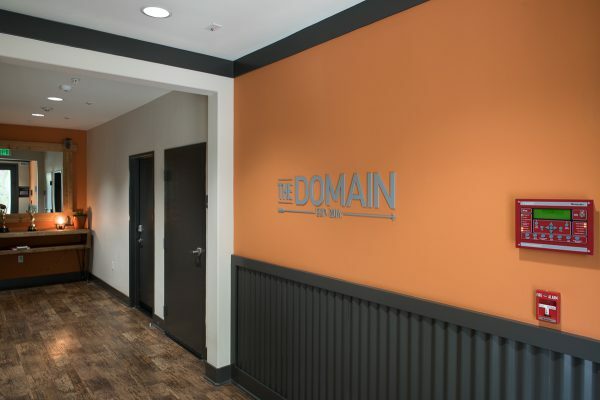 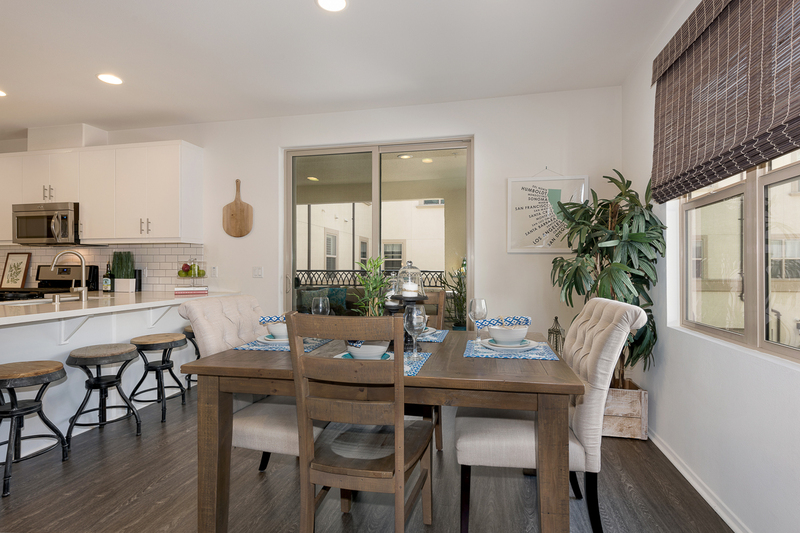 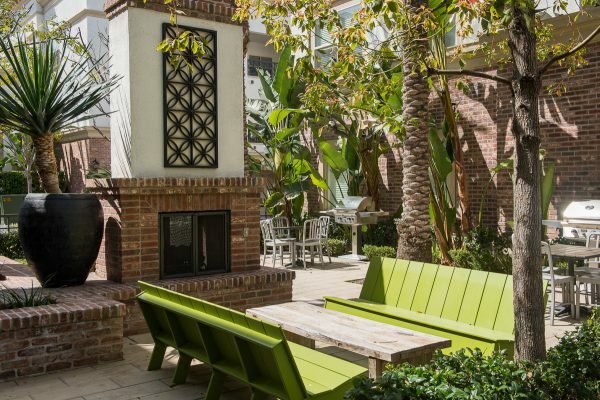 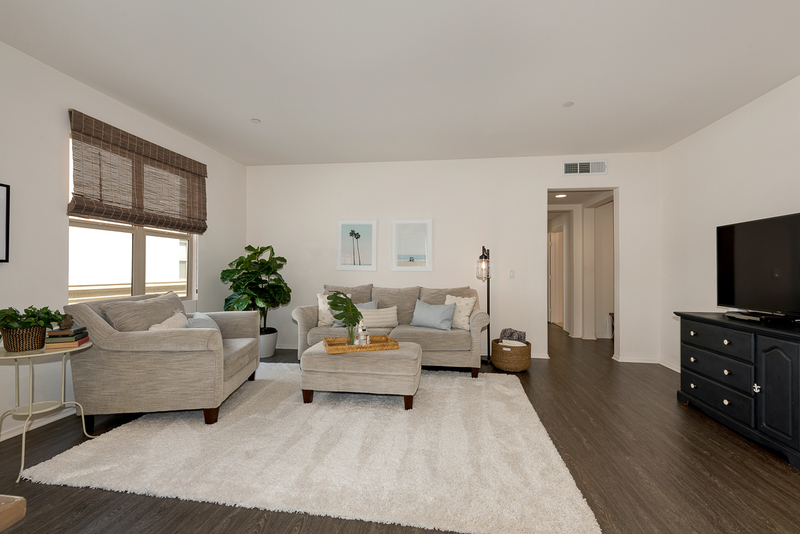 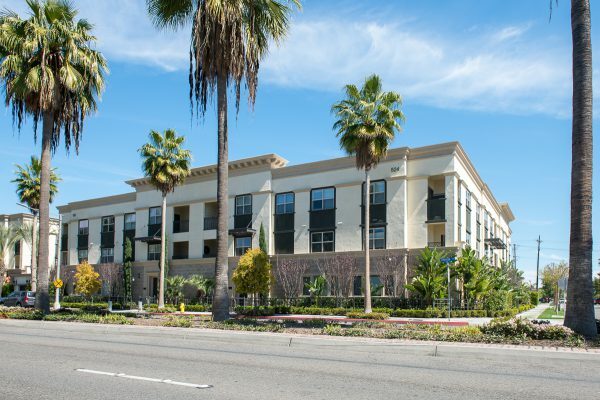 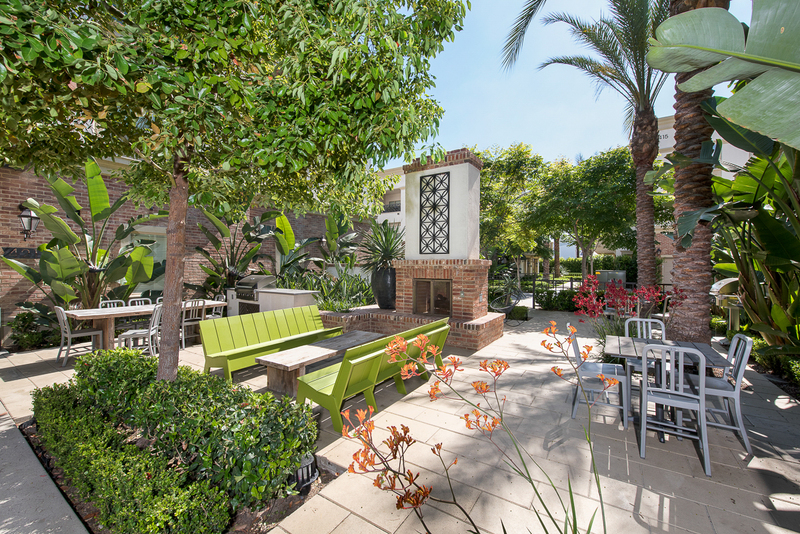 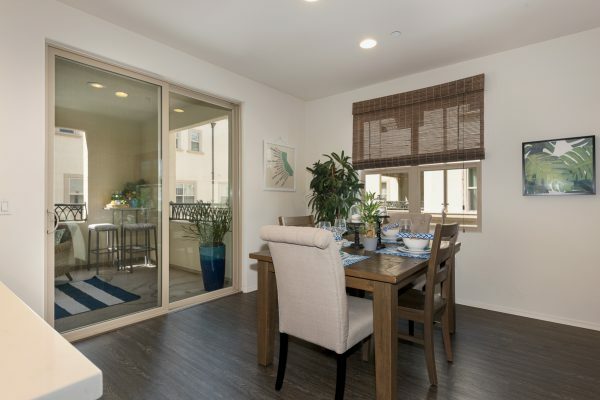 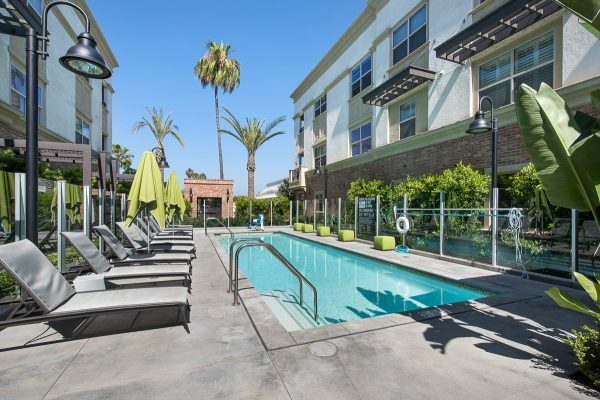 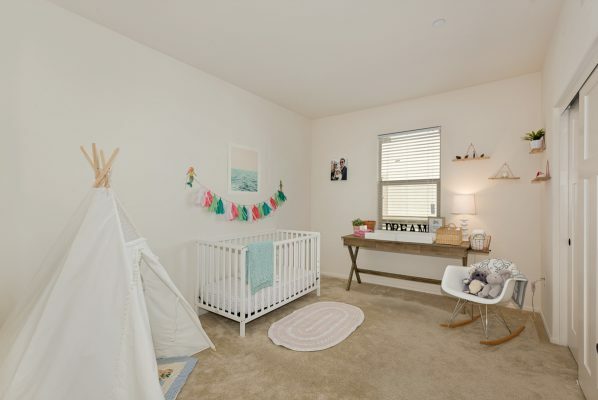 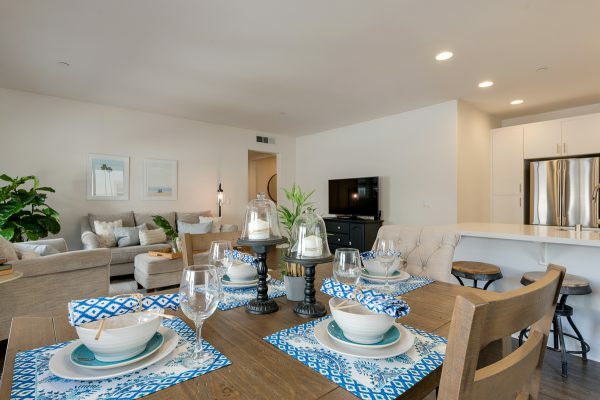 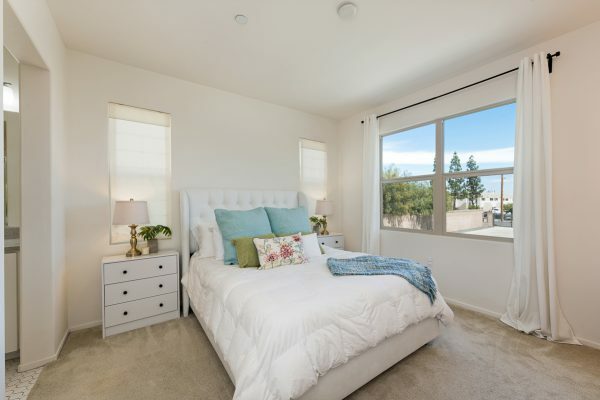 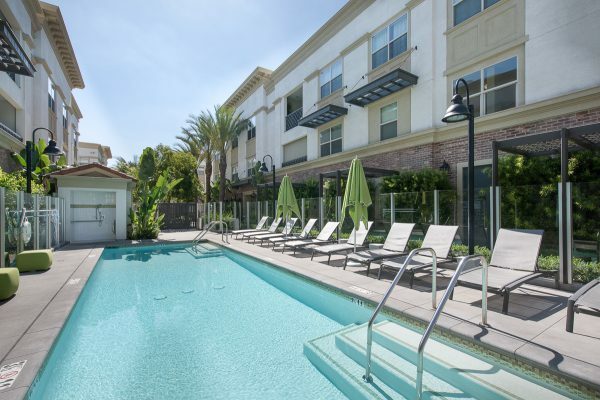 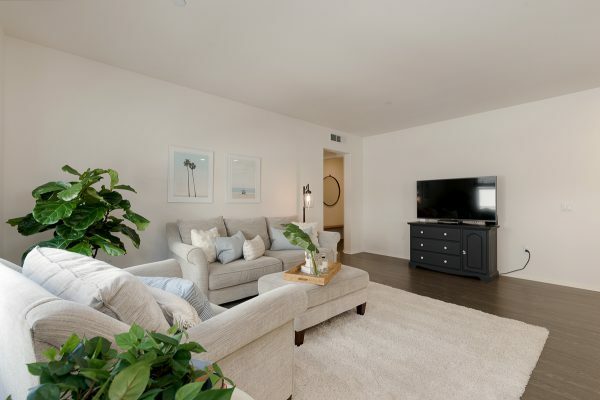 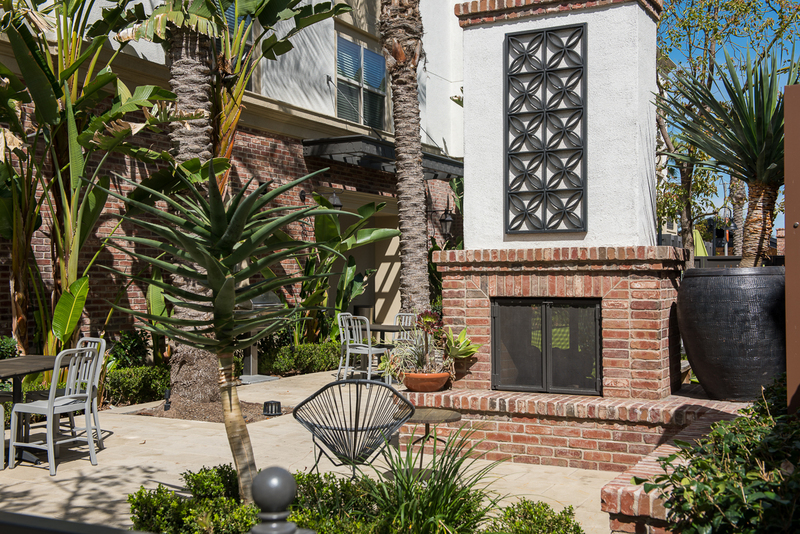 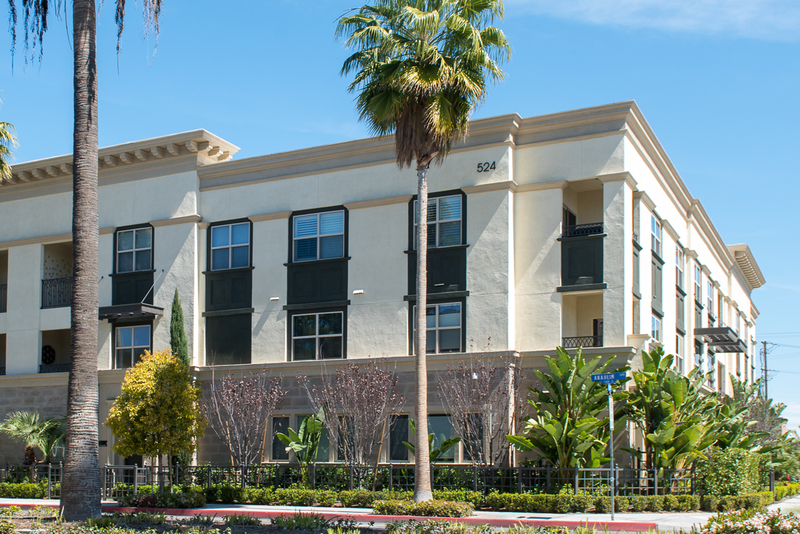 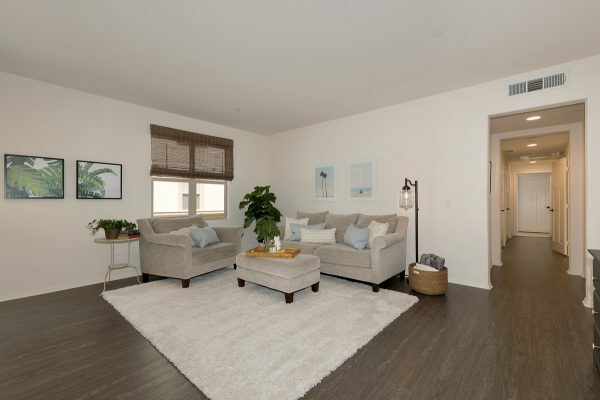 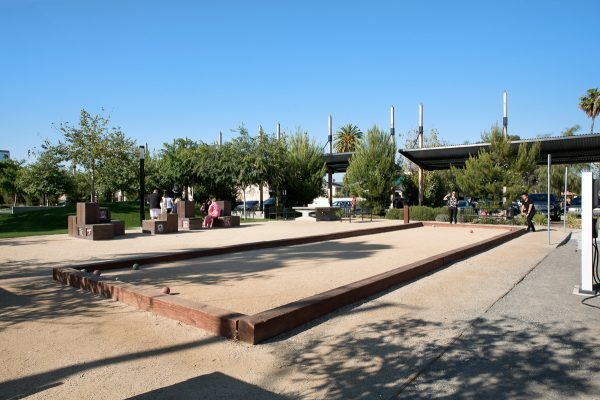 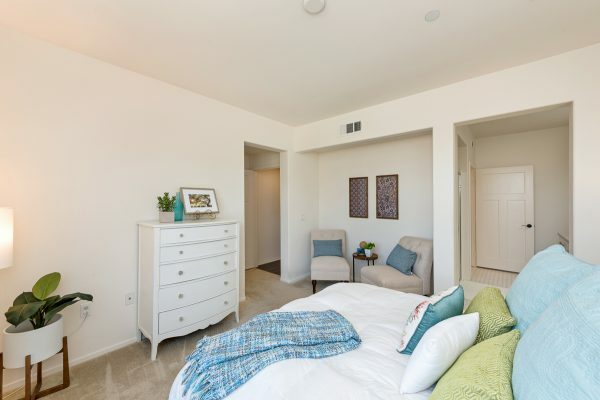 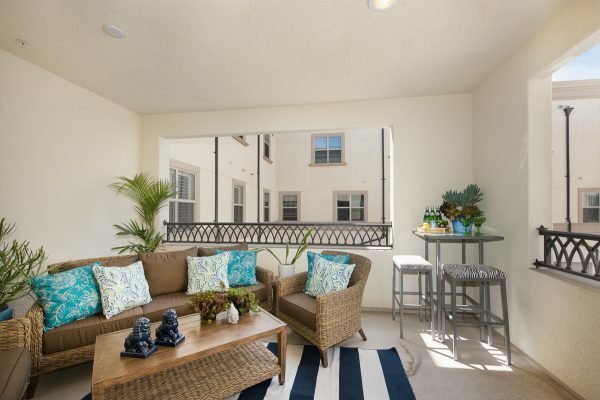 An urban lifestyle in one of Orange County’s hottest neighborhoods awaits you at The Domain in Anaheim. 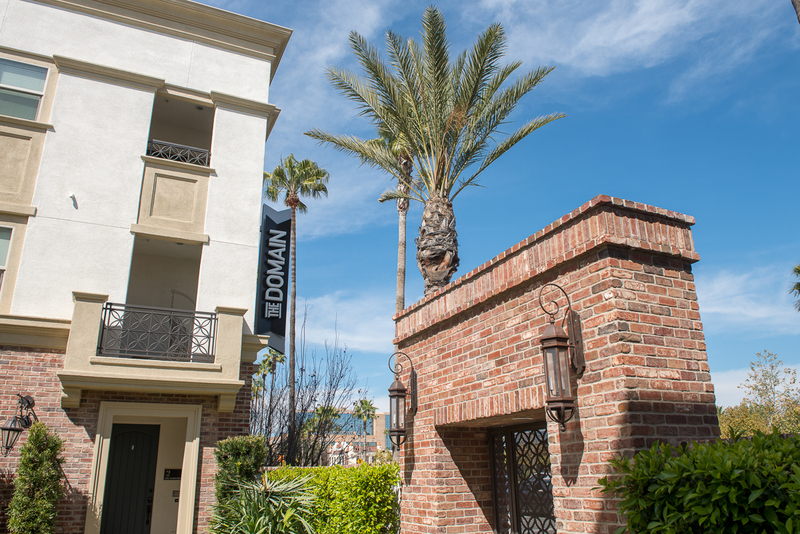 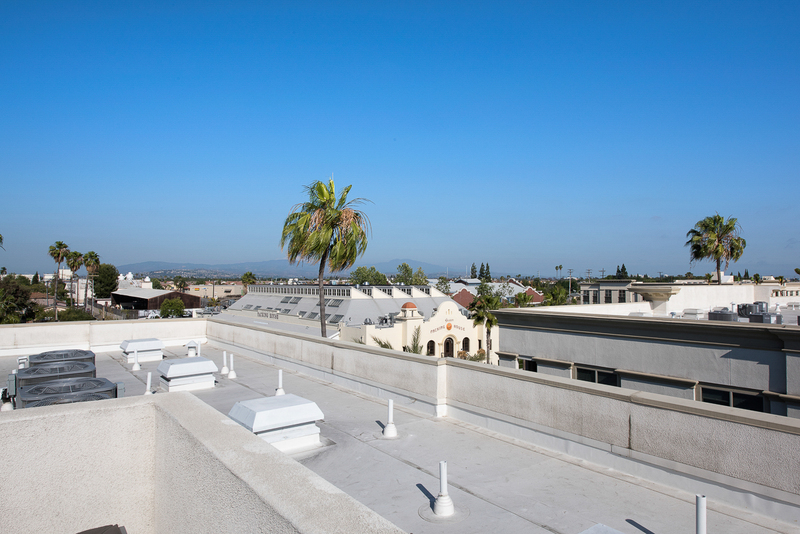 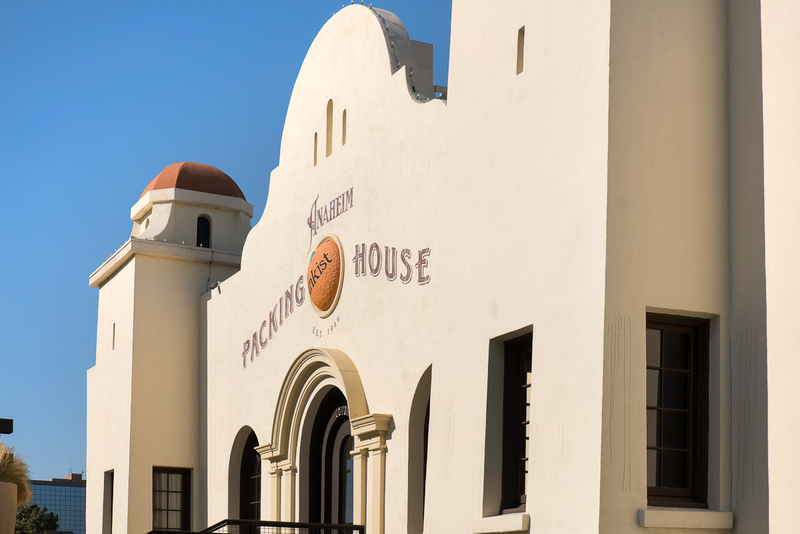 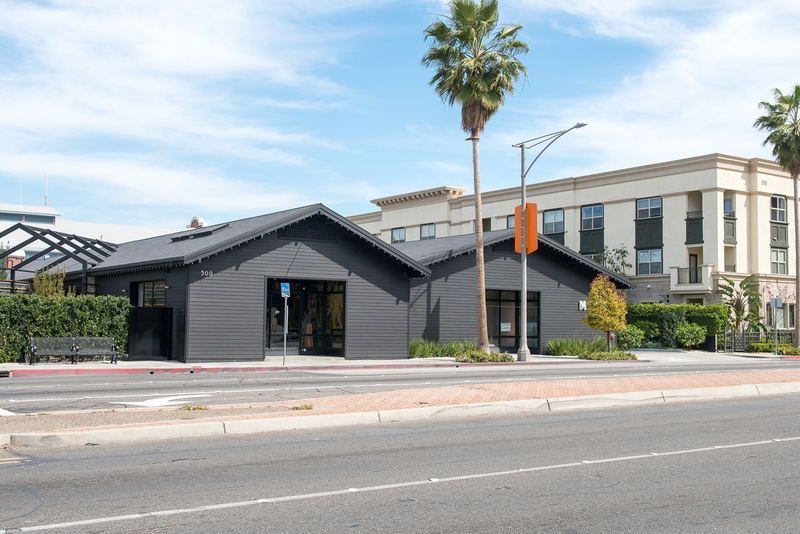 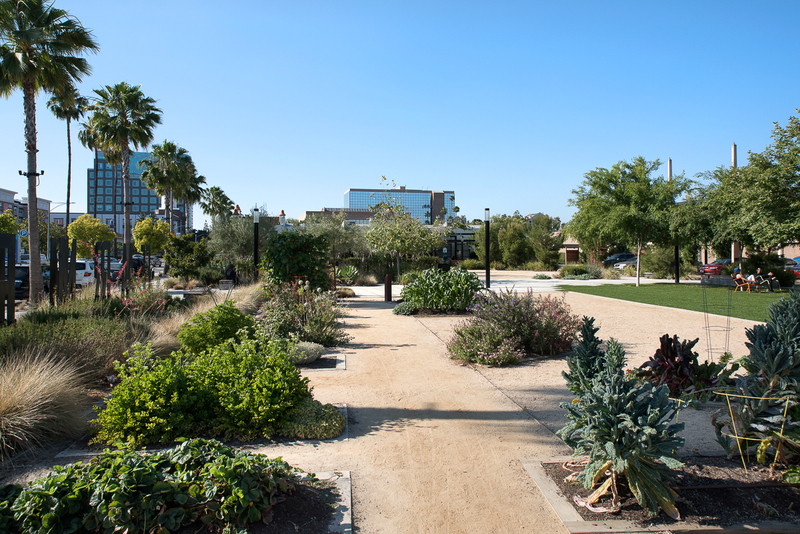 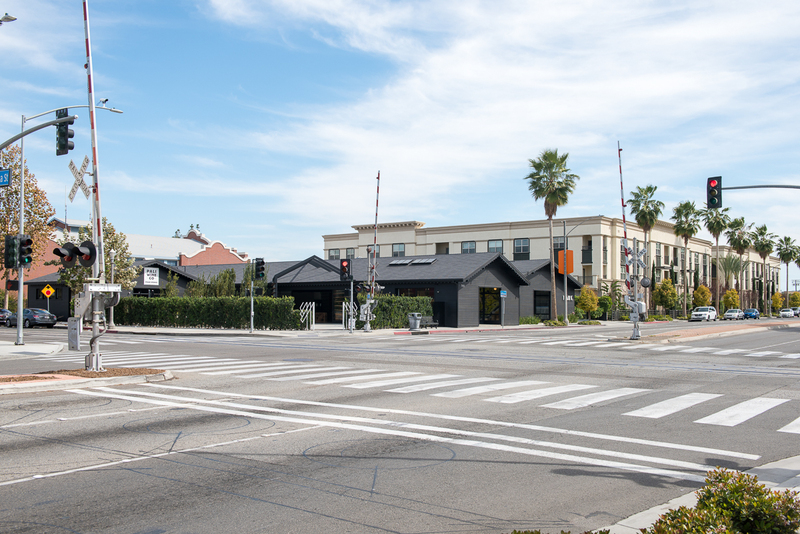 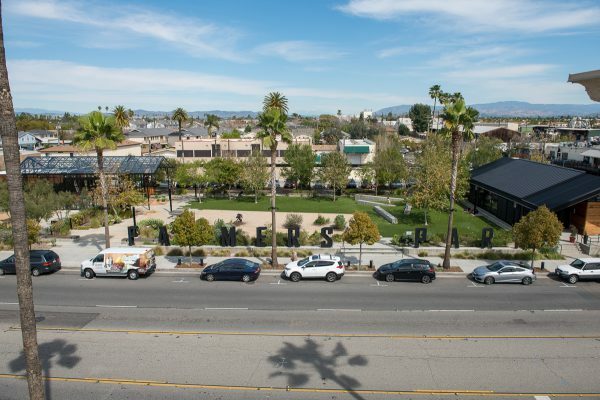 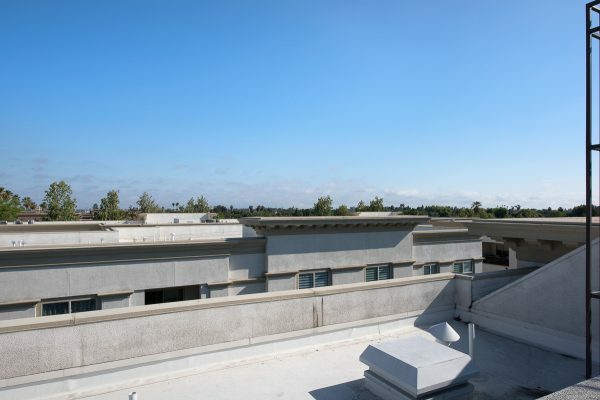 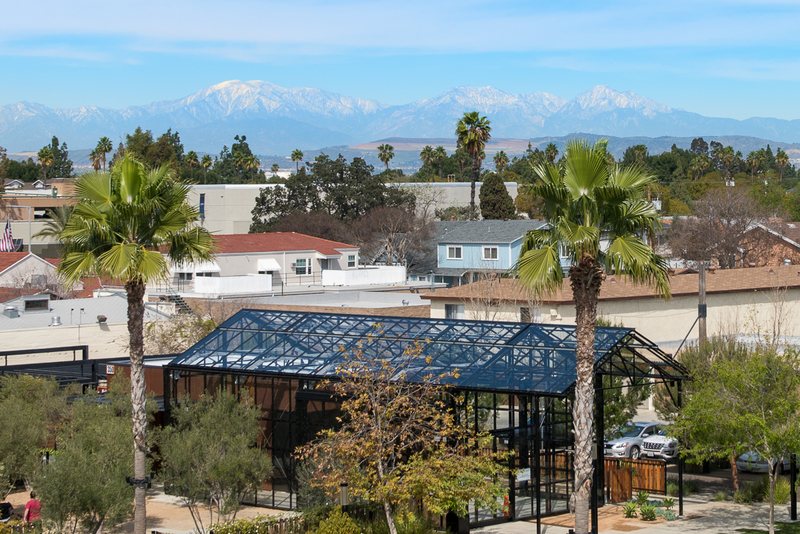 The Domain is at the heart of an exciting & amp; vibrant redevelopment in the Anaheim Colony Historic District. 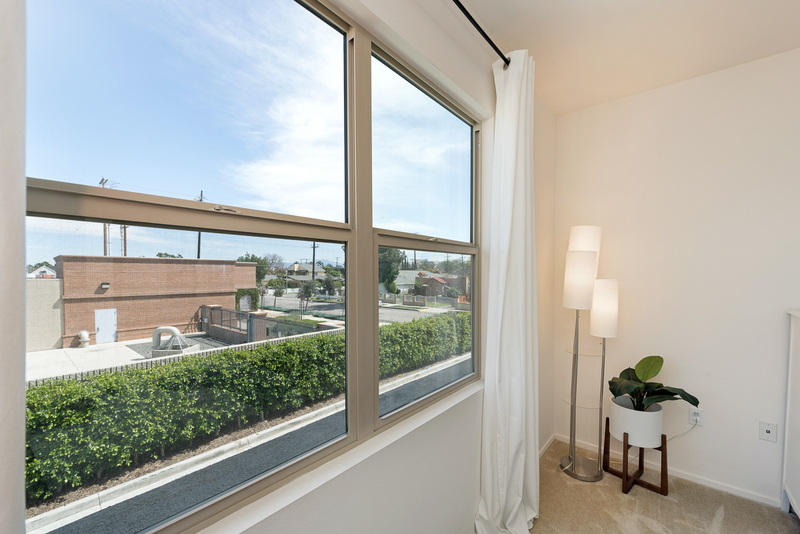 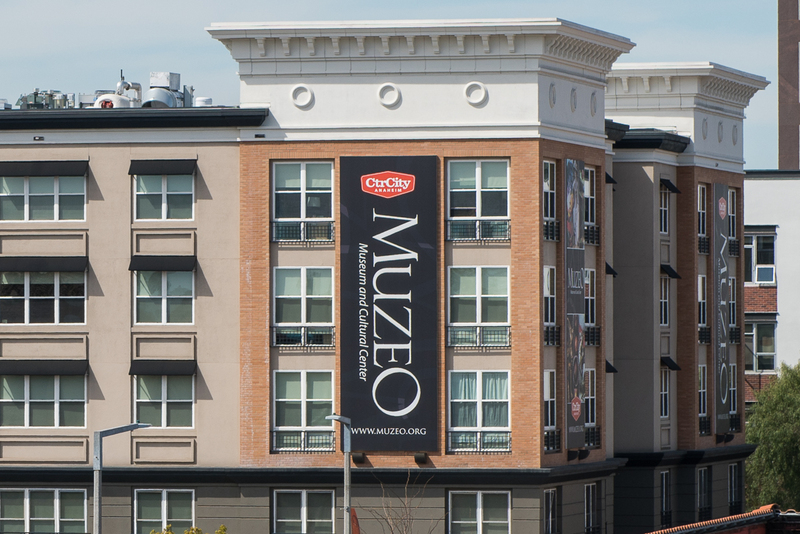 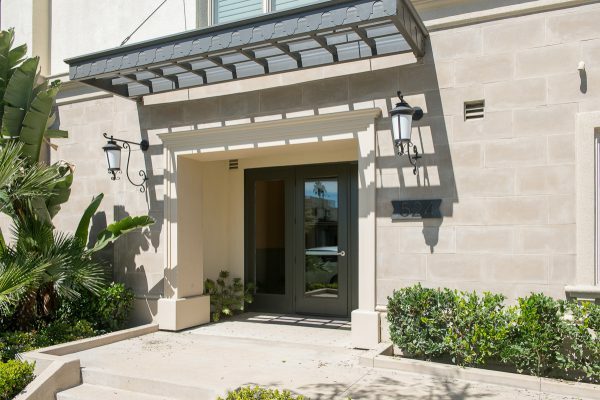 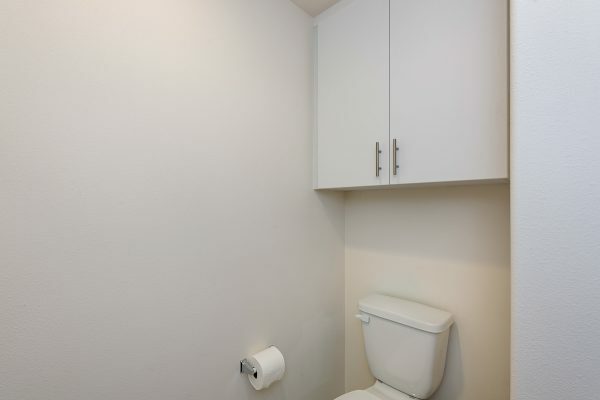 It is a truly exclusive experience; urban living at its finest, with the conveniences of a single-family residence. 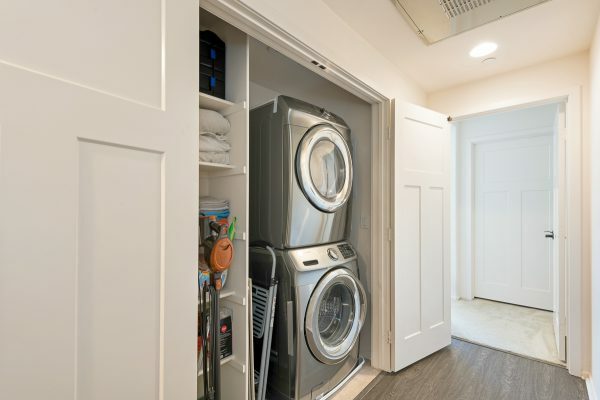 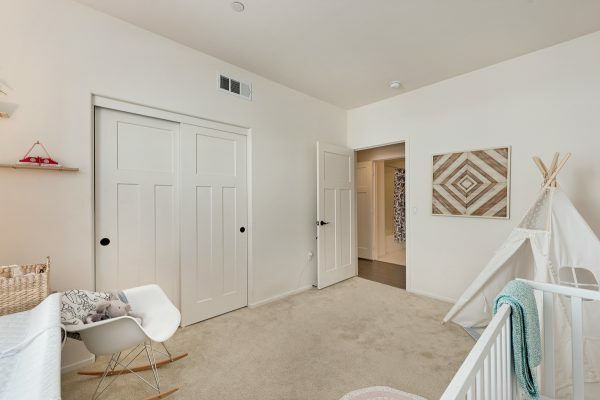 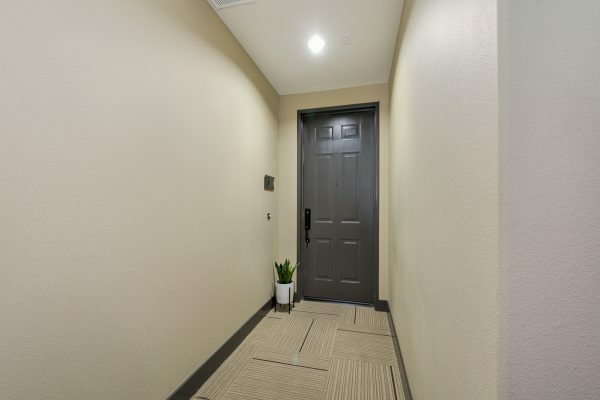 Pull into the two-car garage with an extra storage area and head through the security doors up the elevator to the second story, single level home. 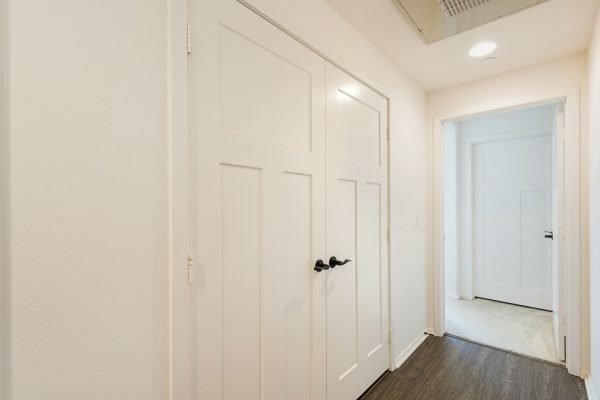 Step through the soaring 8-foot tall front door onto upgraded distressed wood laminate flooring. 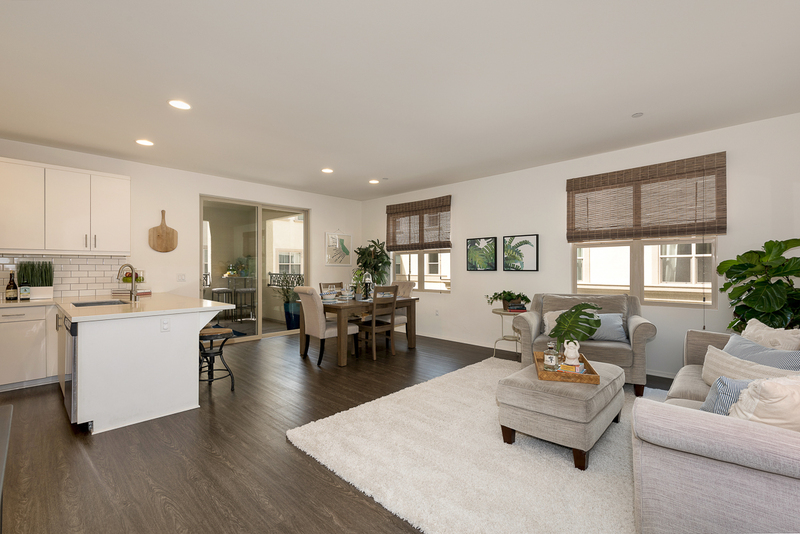 The open concept and expansive living area includes a living room, dining room, and kitchen. 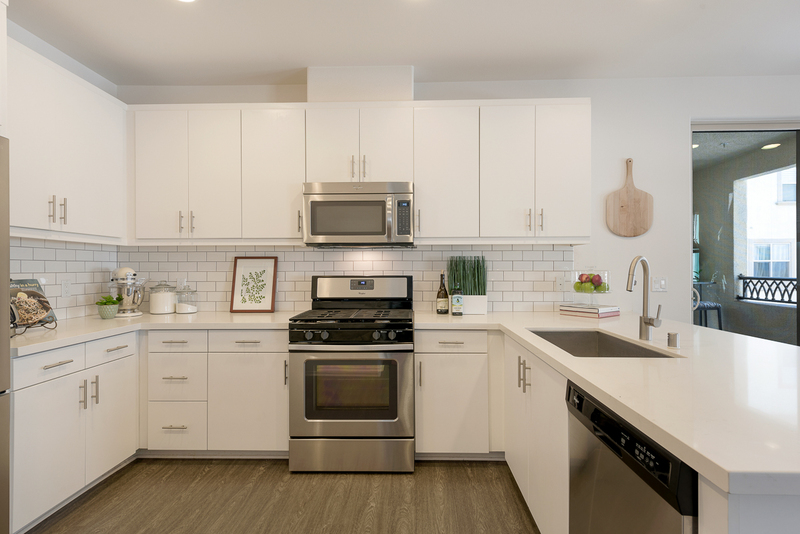 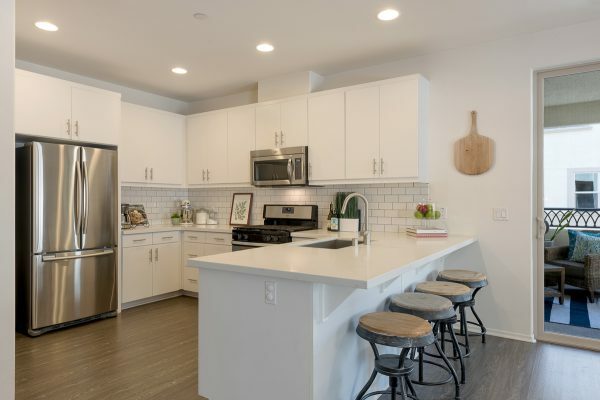 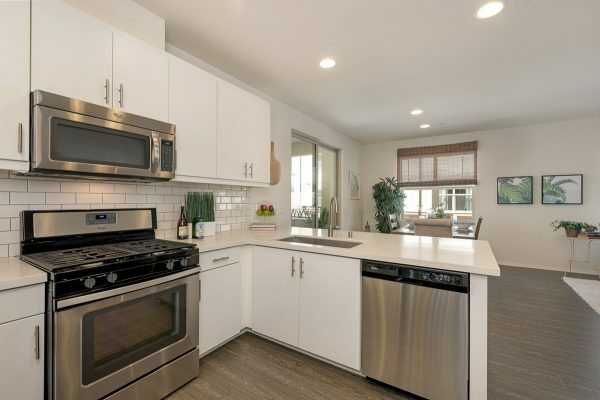 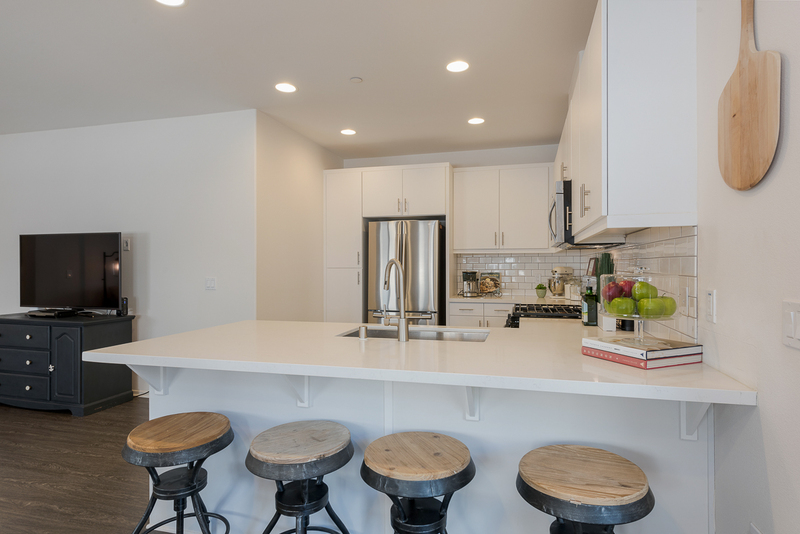 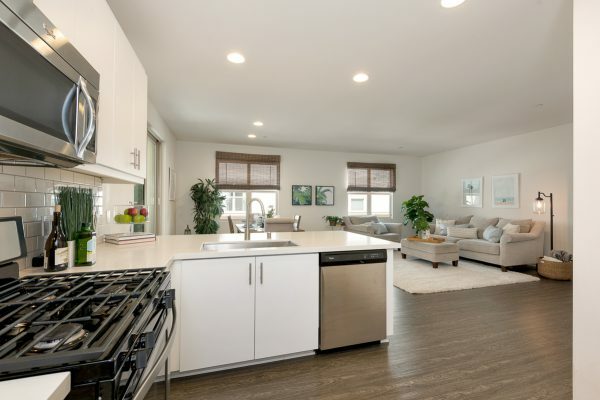 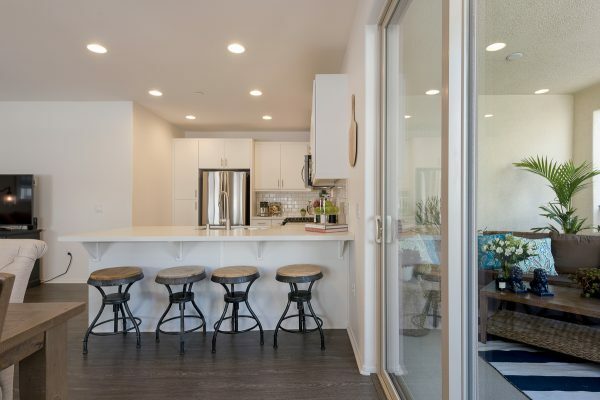 Exercise your gourmet skills in this sleek modern space that includes: White cabinetry, stainless steel appliances, quartz counter tops, full tile back-splash, recessed lighting and a breakfast counter. 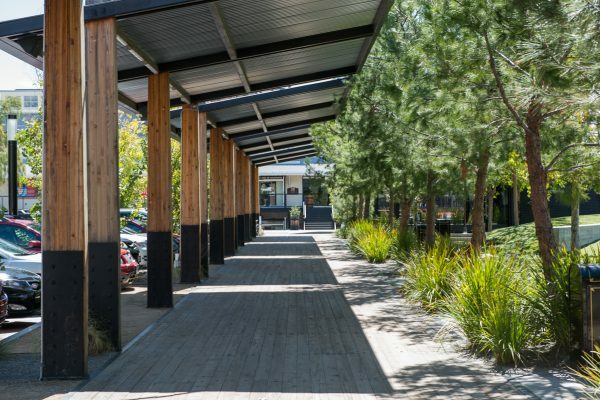 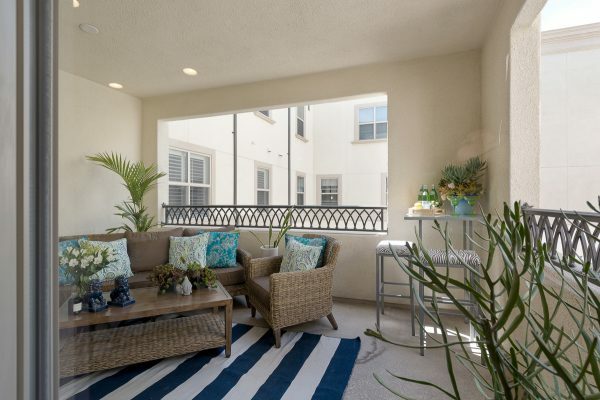 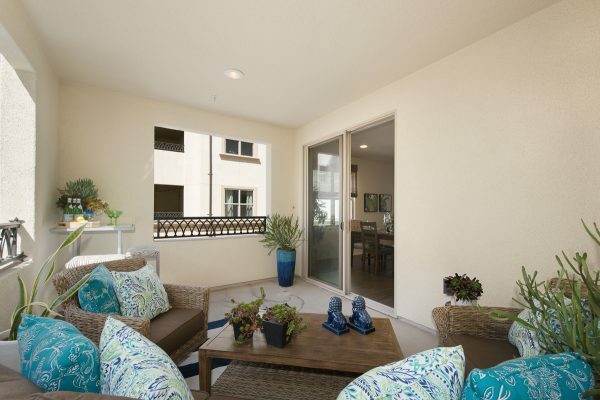 Enjoy quiet time on the largest covered balcony in the community – It’s basically an extra living space. 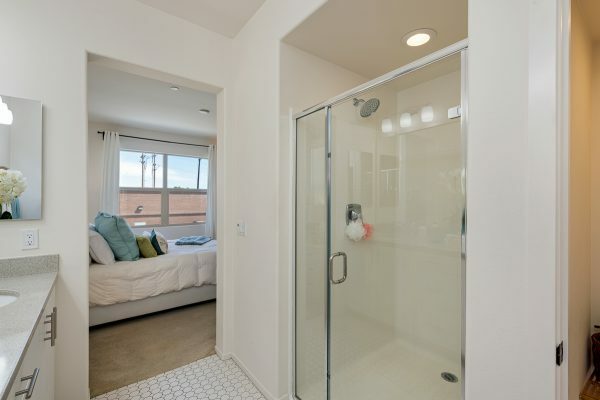 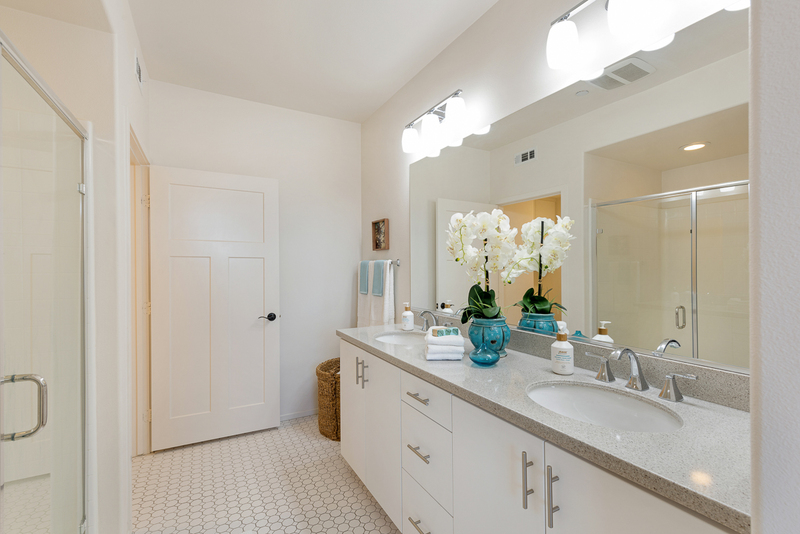 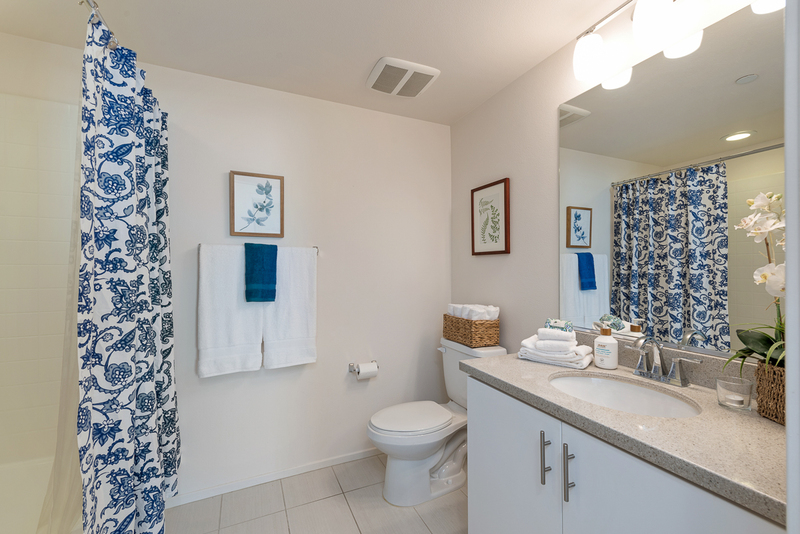 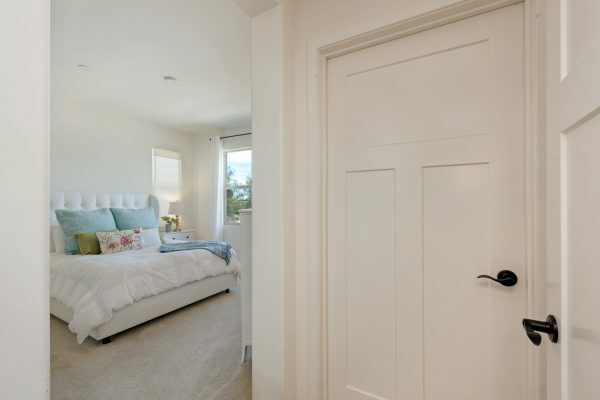 The master suite features a walk-in closet, neighborhood view, and an en-suite bath with dual sinks large shower and separate water closet. 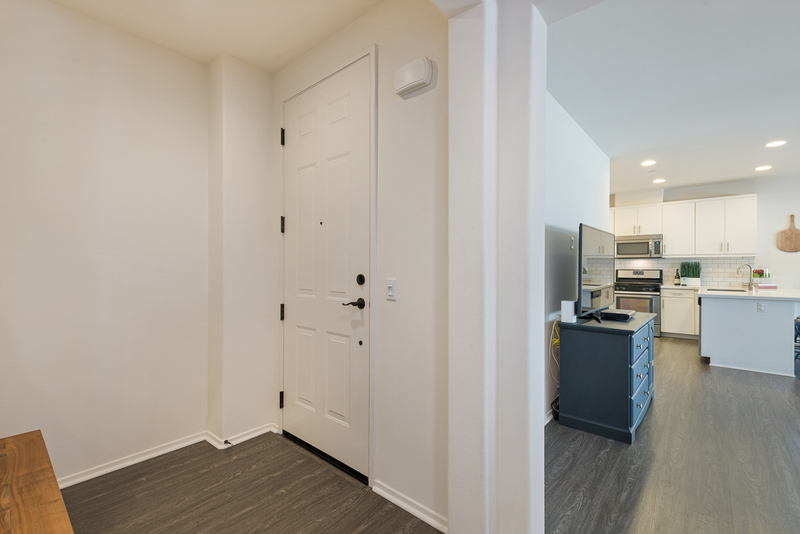 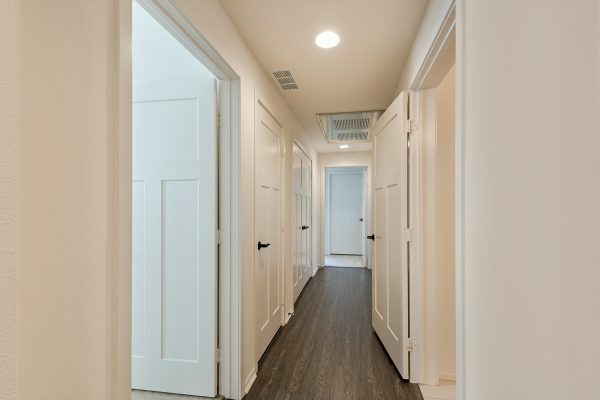 The ADA accessible quality construction by Brookfield Residential features: Fully insulated exterior walls &amp; ceilings, central heat &amp; air, low-E dual pane windows, tank-less water heater indoor laundry, and is pre wired for video and cat 5e networks. 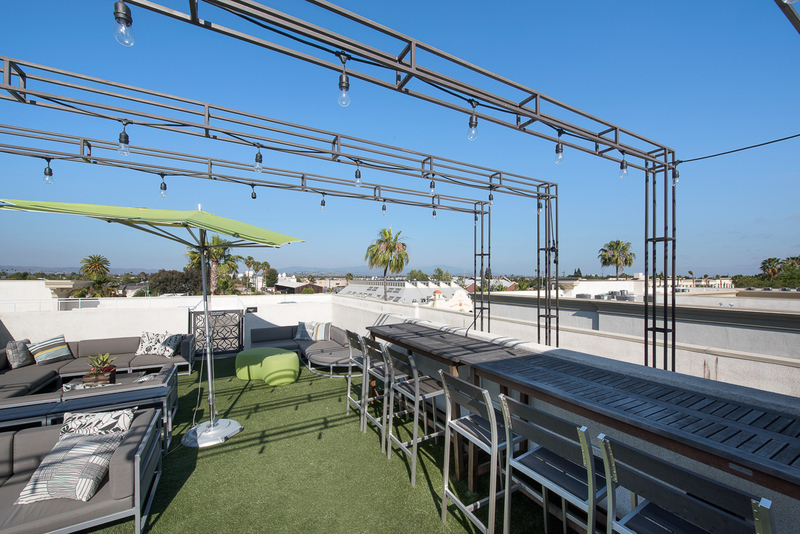 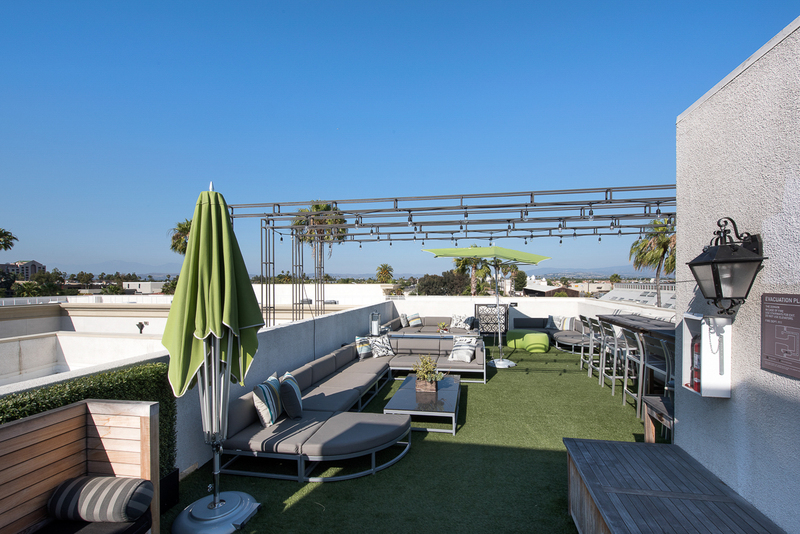 The community amenities include: Urban hipster roof top hangout area, pool &amp; spa, and multiple gathering areas around outdoor fireplaces. 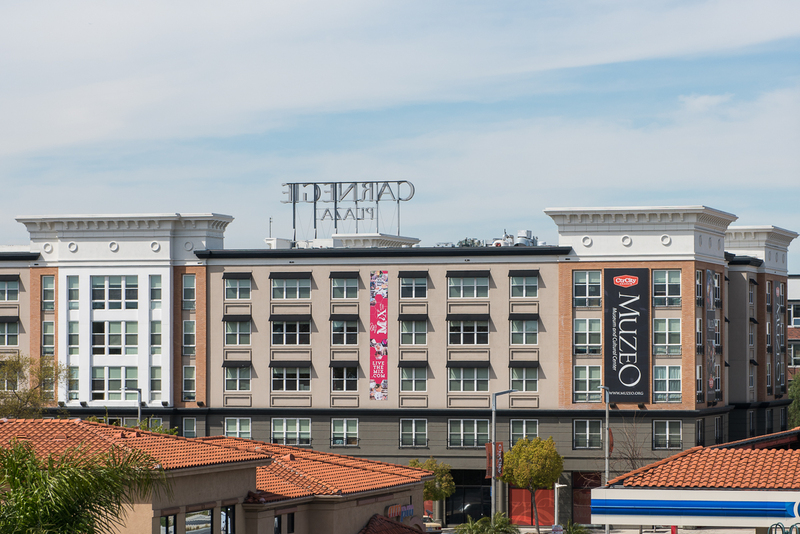 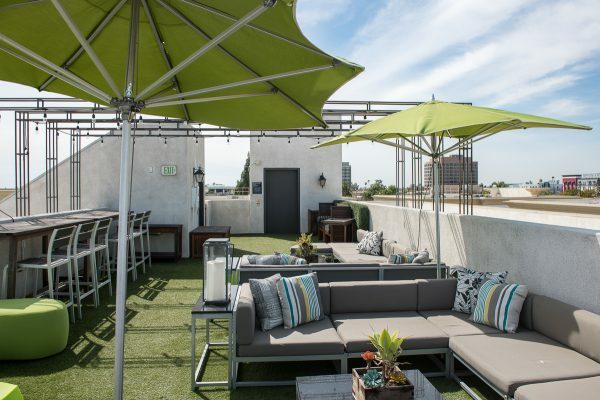 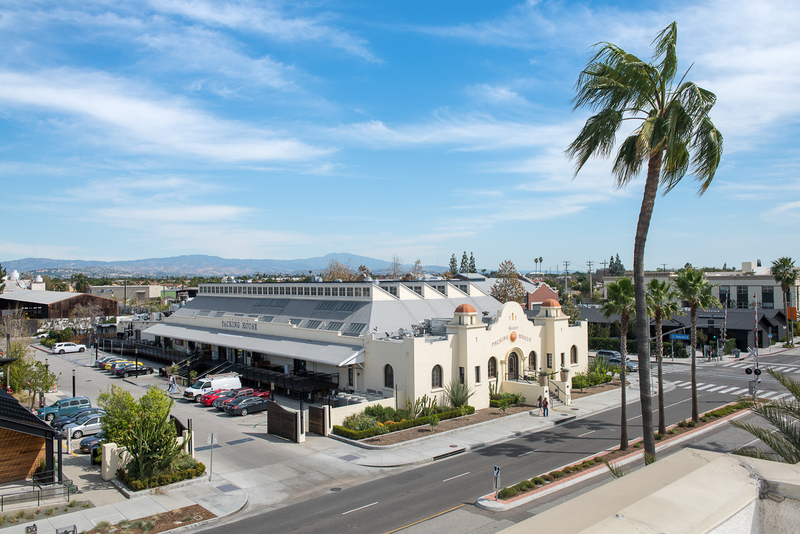 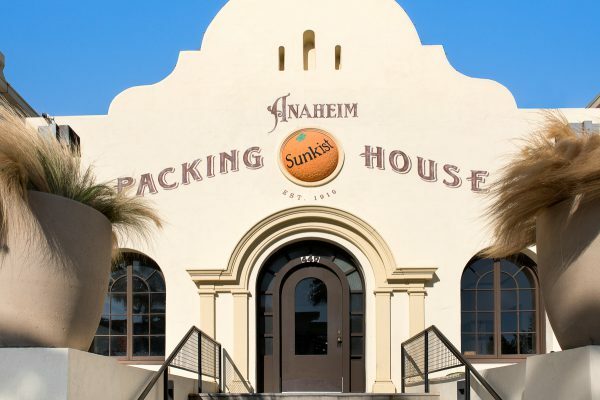 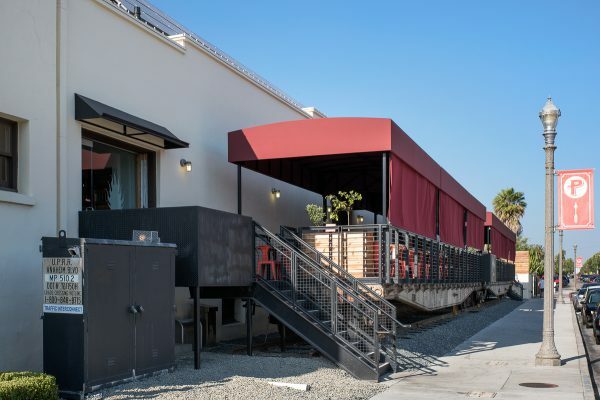 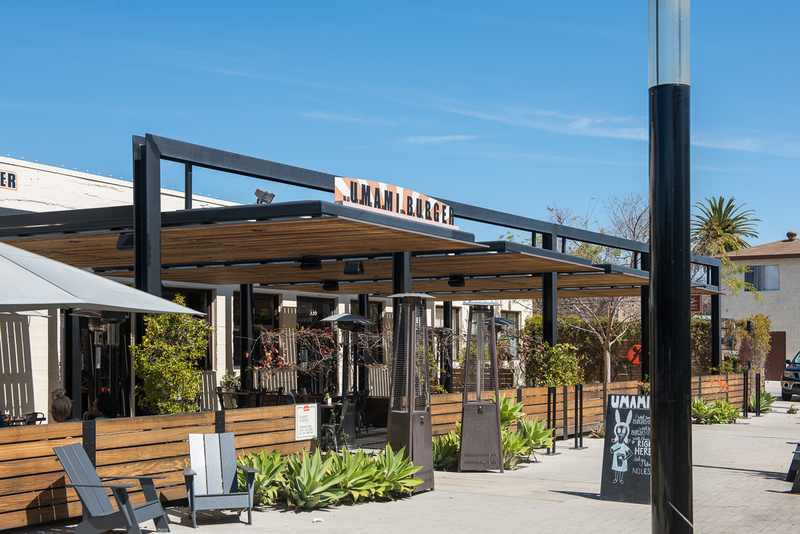 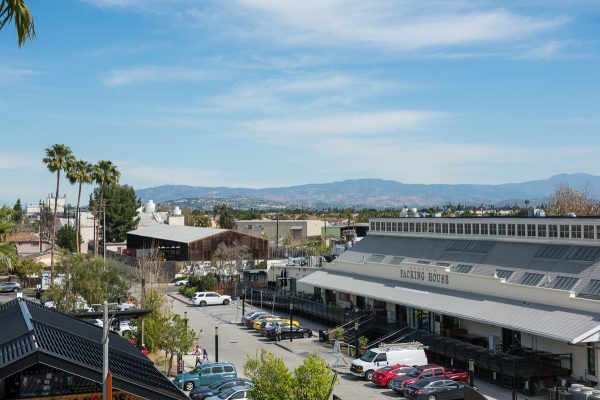 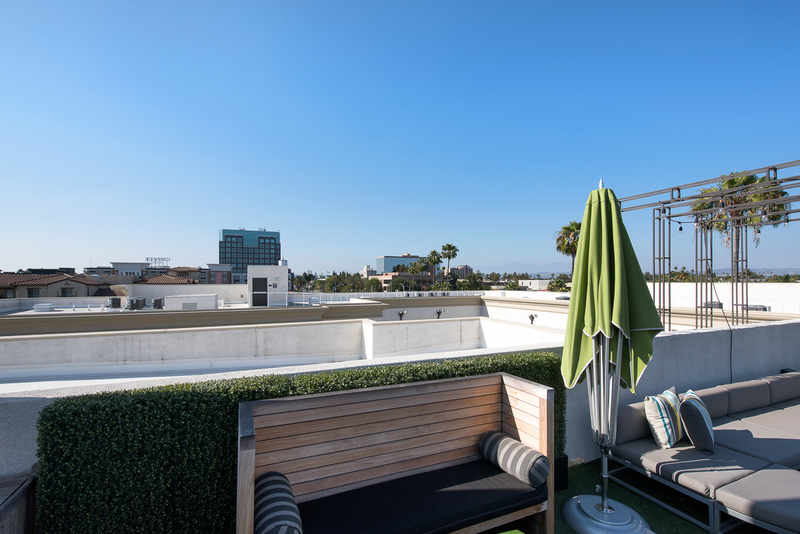 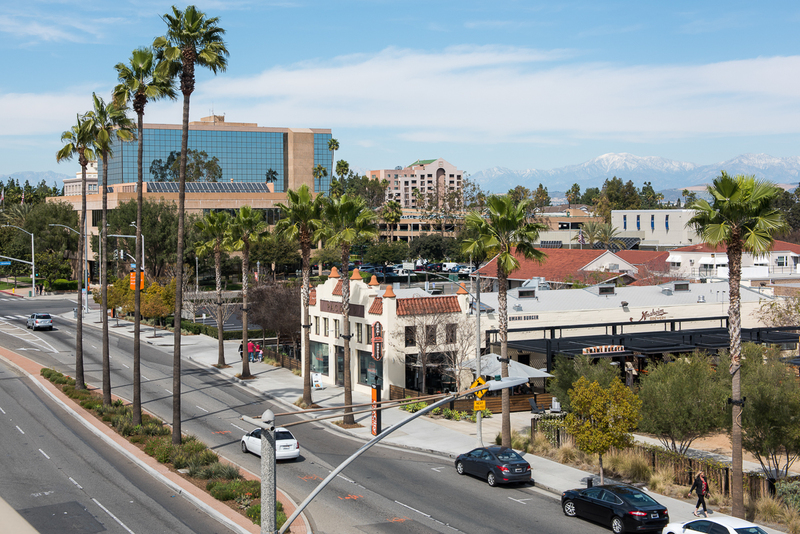 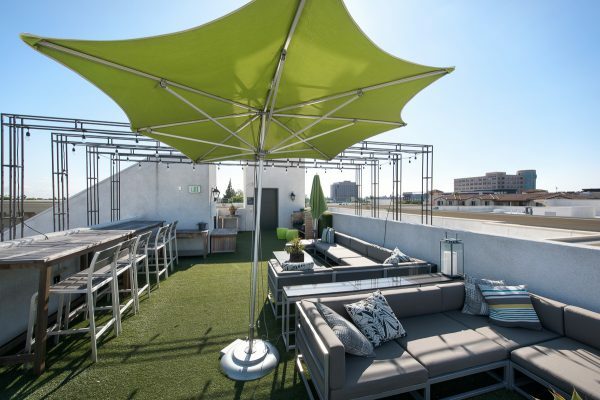 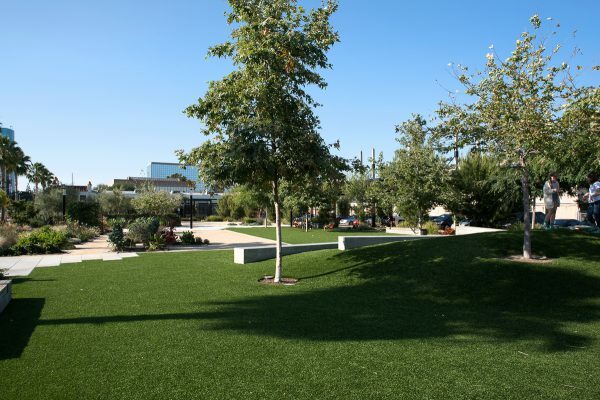 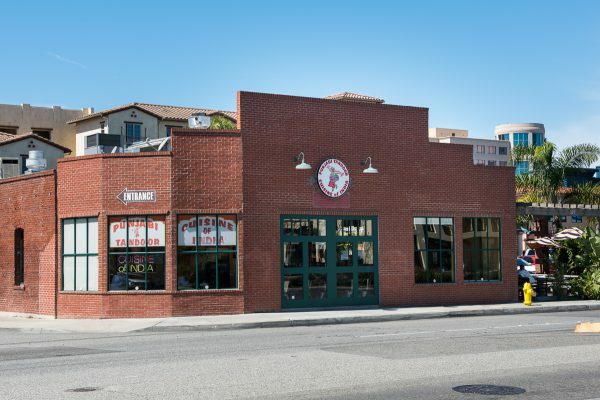 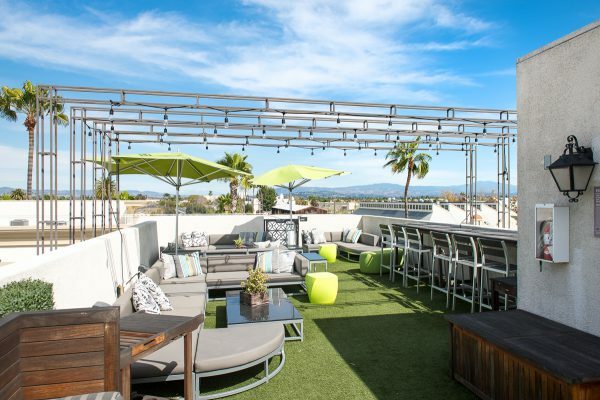 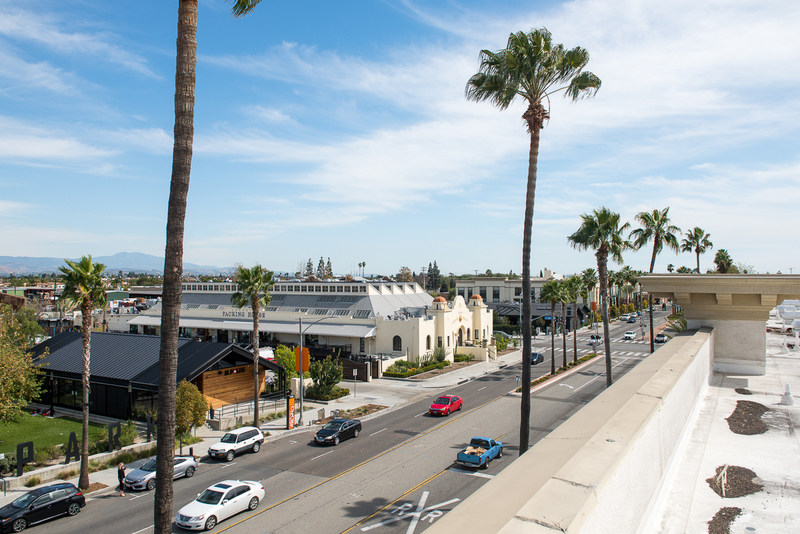 Right next door to Anaheim Packing District with dining and entertainment are just steps away. 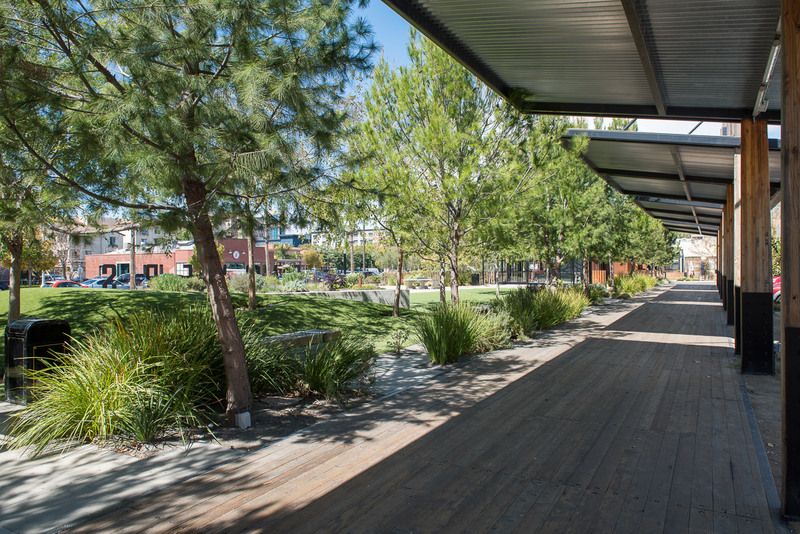 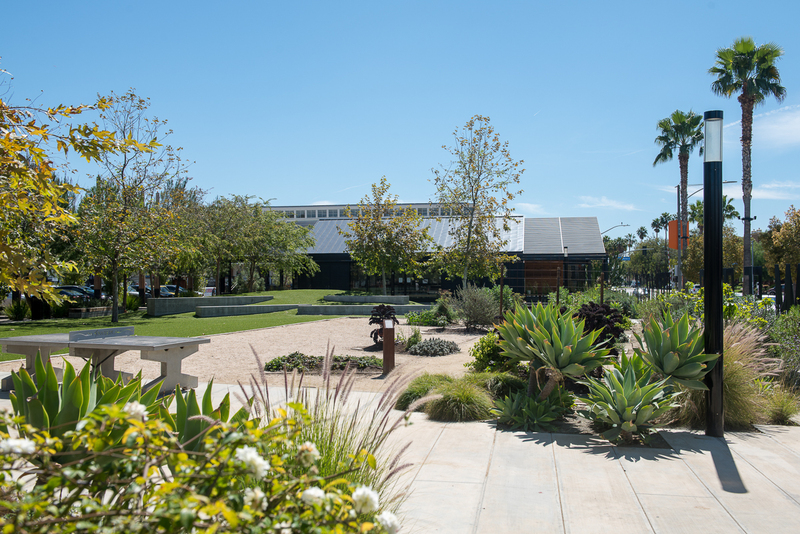 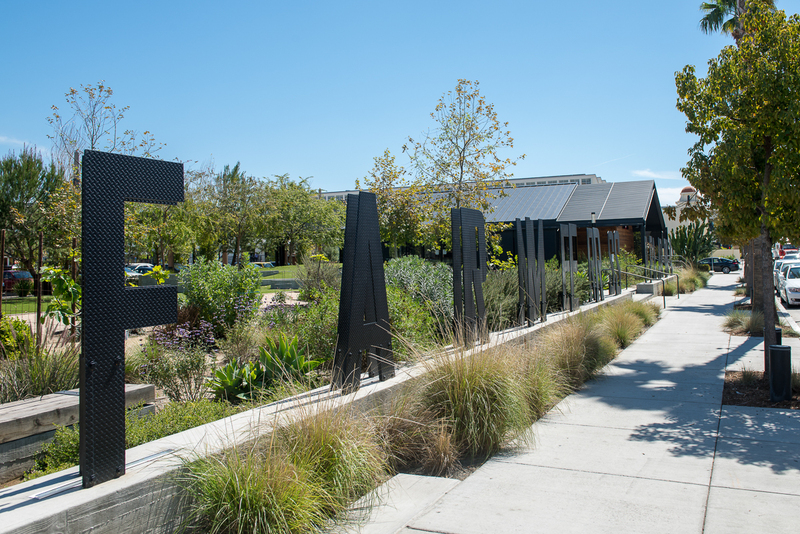 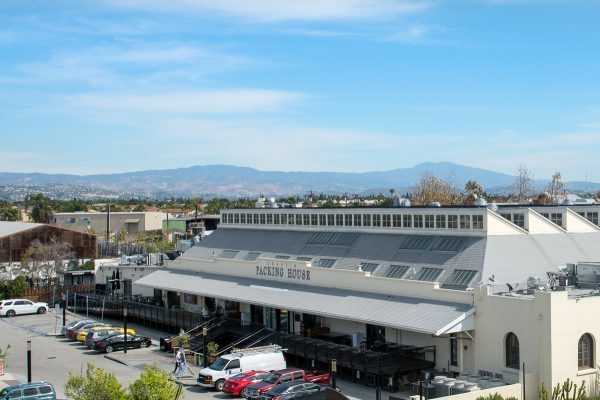 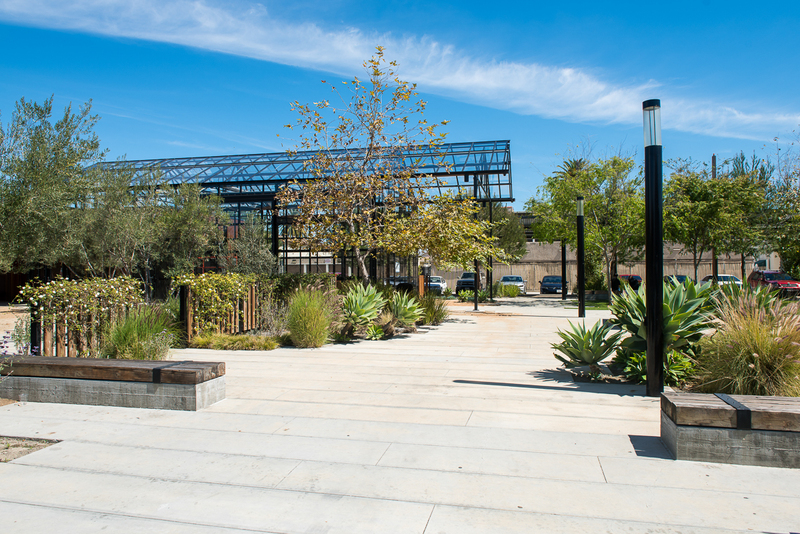 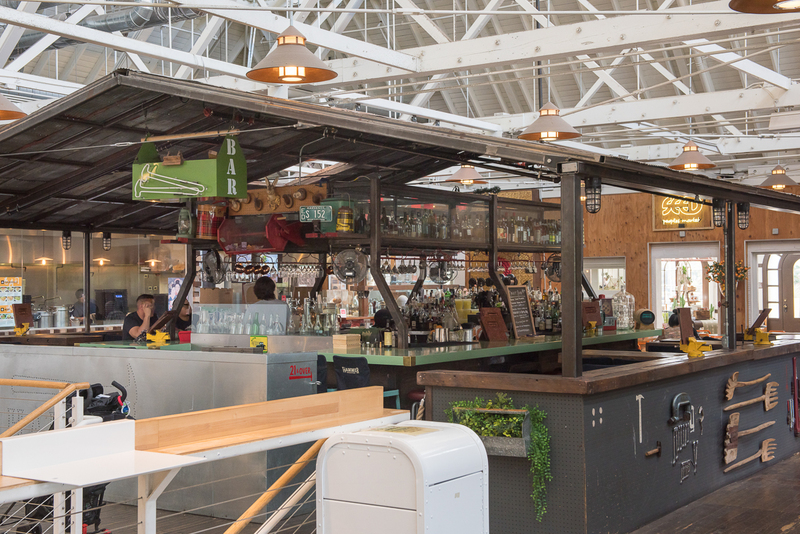 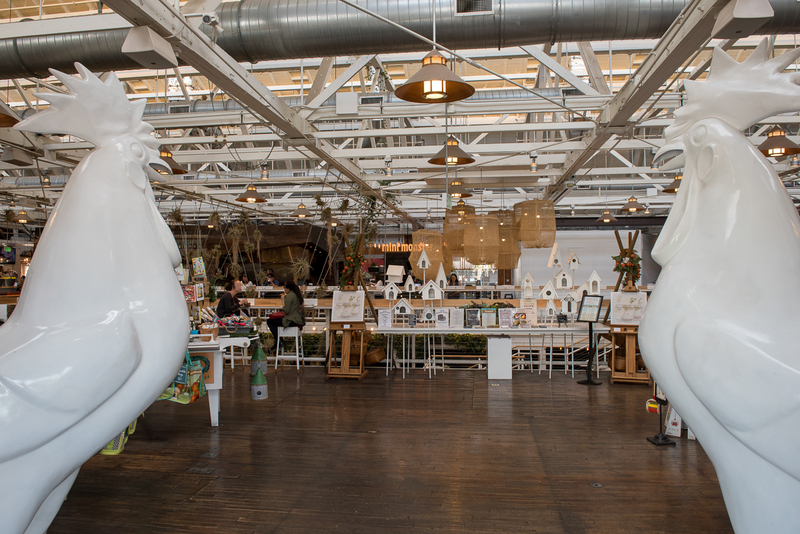 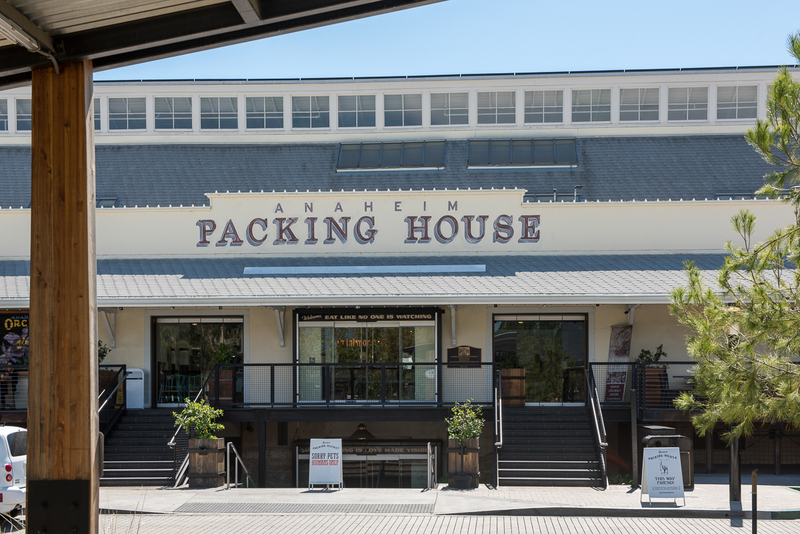 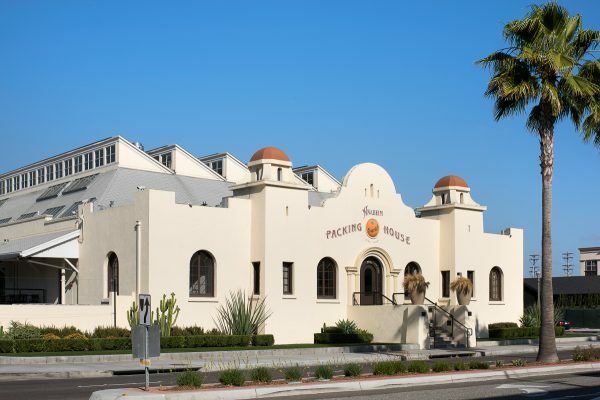 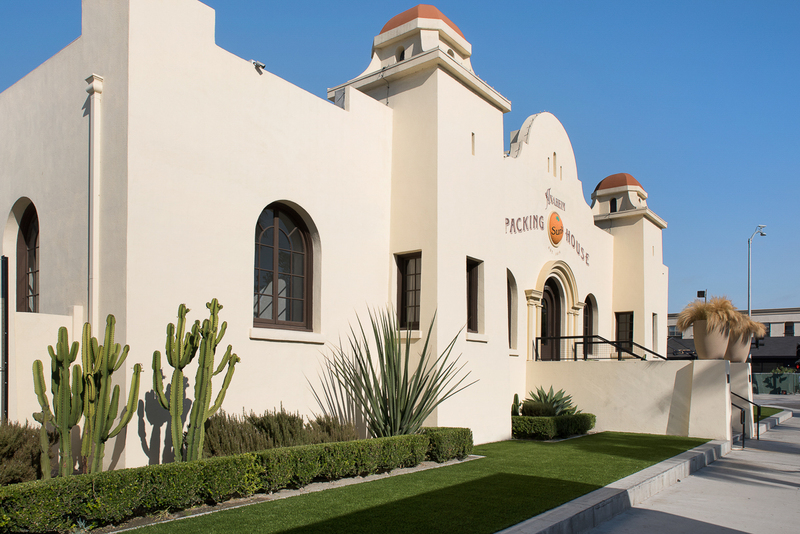 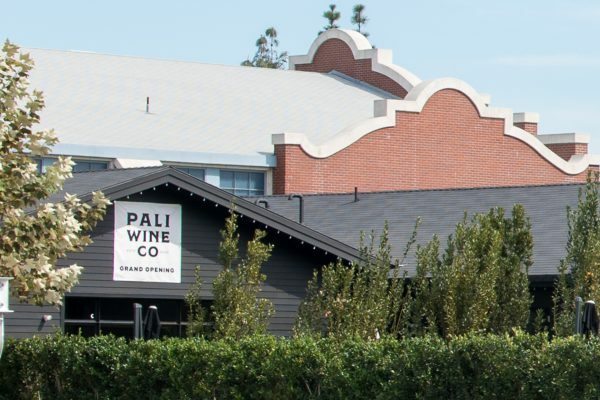 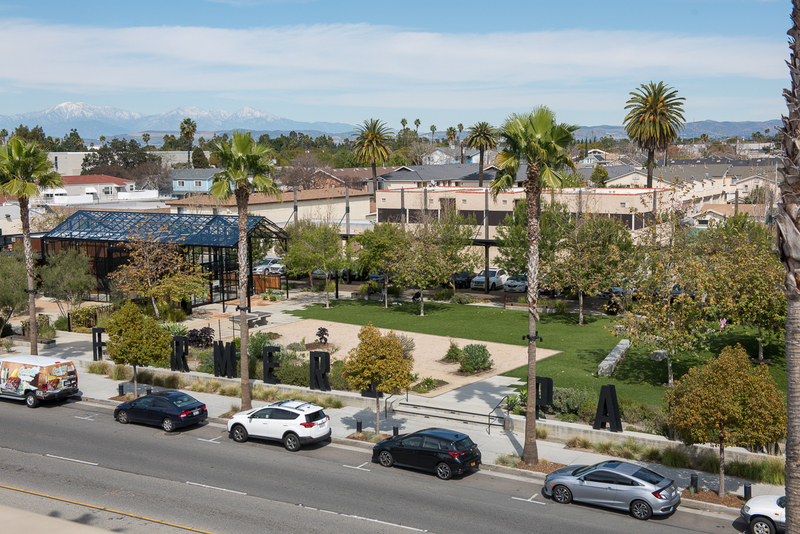 Enjoy Farmers Park and the restored citrus Packing House featuring 20+ artisan eateries with live music on the Mezzanine Stage every weekend as well as The Backyard, Umami Burger, Kettle Bar, The Kroft, Sawleaf, Pandor Bakery, Urbana, Han’s Homemade, Jav’s BBQ and many more. Step back in time and slip into the Blind Rabbit for a unique experience at Orange County’s premier speakeasy or just sit back in Famers Park and watch the world go by. 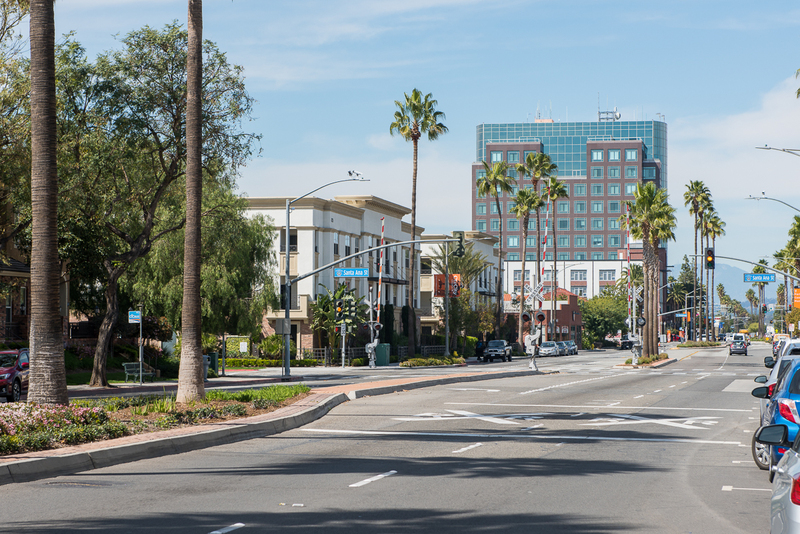 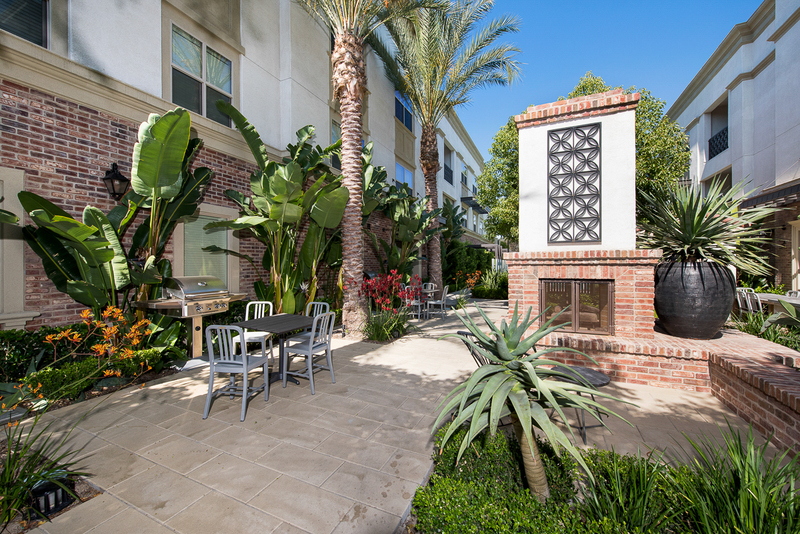 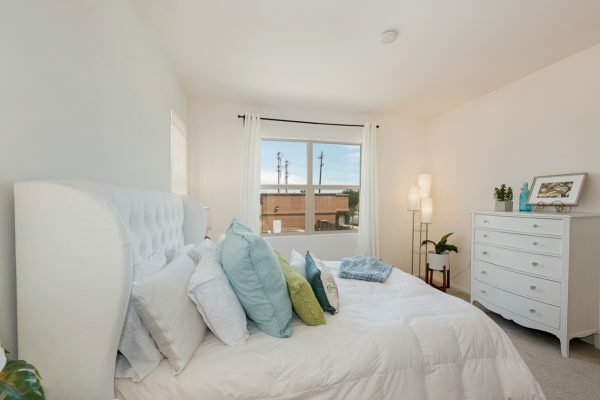 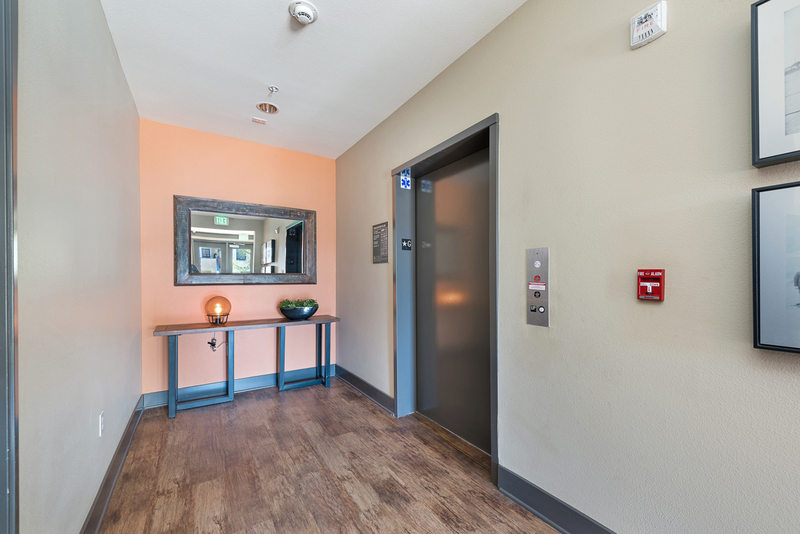 Don’t forget the close proximity to: Disneyland, Center Street, Honda Center, and the Anaheim Transportation Center. 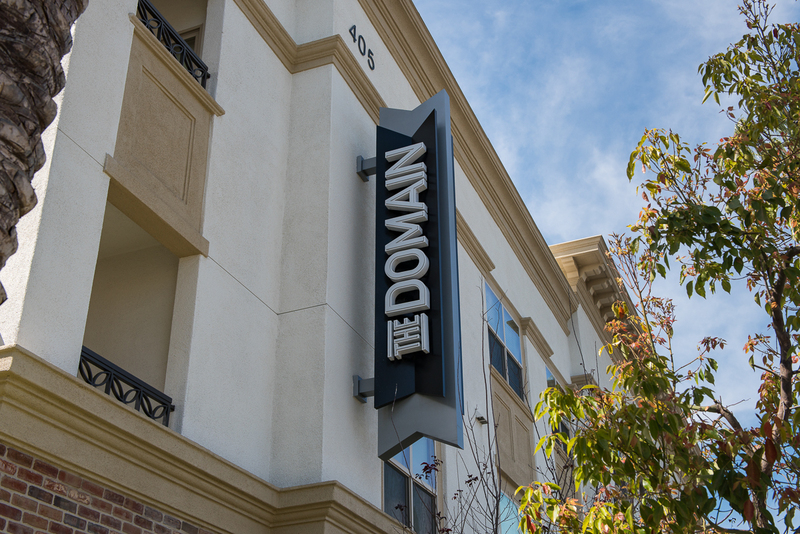 As if living at The Domain could not get any better, many more highly anticipated eateries and innovative spaces are expected to open soon. 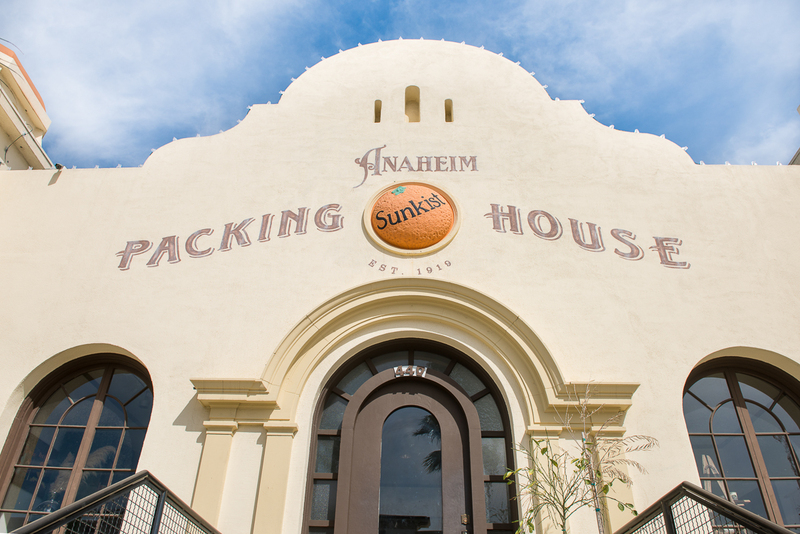 It’s a great time to get into The Domain in Anaheim.